The powerful and universal system for interior work and renovation with the most extensive accessories for a fantastic range of applications. 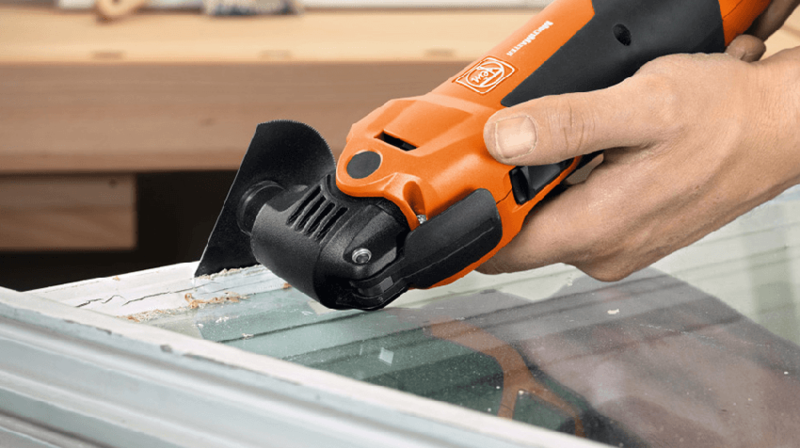 Made in Germany" product quality as you would expect – The FEIN MultiMaster doesn't just leave components with an impressively high quality. State-of-the-art production processes and stringent quality checks ensure maximum customer satisfaction over the full life of our products too. 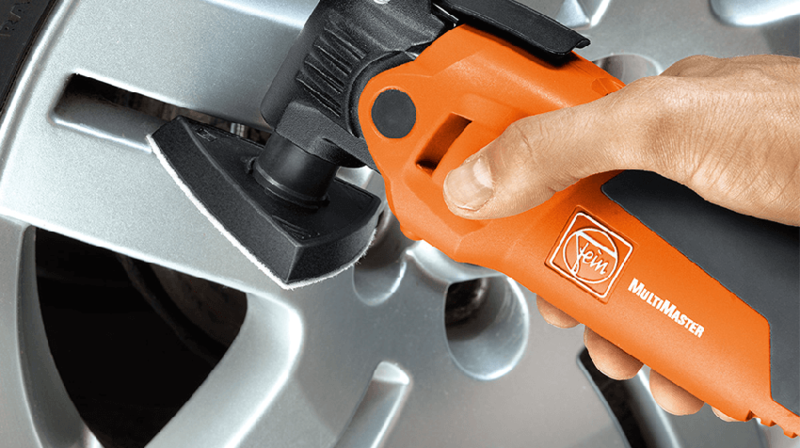 I have been using the Fein multi-tool for several years now and consider it to be one of my best purchases. I use it almost daily and it has been completely faultless. With the large amount of blades available there is one for virtually every task you could encounter on the job site. Besides cutting, you can also attach a delta sanding pad for finish detailing. The original and in my opinion still the best corded multi tool on the market. Quick tool free blade change is precise and firm which fills with confidence. Great little tool, it’s got me out of trouble a few times, cost of the blades are a bit steep though. I have thought about changing to a different brand purely down to cost of the blades. The tool itself is simply the most useful thing I’ve ever bought but the Fein one specifically is awesome. A colleague has been through 3 Bosch ones while my Fein is still going strong. Get one now, you won’t regret it! By far the best multi saw on the market, least vibration lowest noise compared to the others I have used in the past. When mine broke down all parts replaced foc and was repaired quickly. Best quality extremely easy to use and with a wide range of accessories you'll be able to tackle most jobs with ease. Great for cutting pipes where you can't get in with a pipe slice. After using the Dewalt multi-tool for years I was sceptical about the hype of the Fein but after trialing one I just sat as first I thought they was heavy compared to the Dewalt but this was the case the design of the overall tool was far more superior that the Dewalt effortless cutting easy to control I would recommend the Fein Multimaster over any other multi tool in the market and fairly priced. I had the pleasure of working with a Fein Multitool on a massive flooring project recently and I have to say it really does wipe the floor with all similar bratnds for all aspects of use , Including power, ease of use and comfort to use over timely jobs. 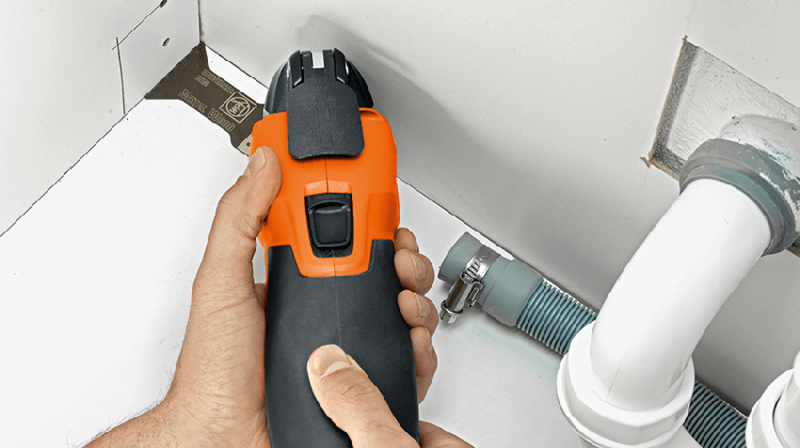 Thumbs up on this one will always recommend using a Fein Multitool. Such a handy tool don’t know how I managed without for so long. 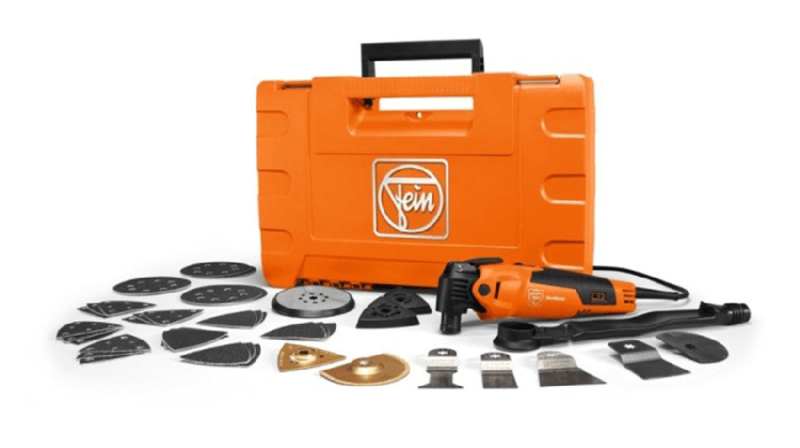 I have tried other multi tools but fein is definitely the best. Really is an essential item for any serious trades man. Been using these now for quite some years now and after my last one was stolen i was lost without it. Decided on buying the new starlock plus, and have to say it's a huge improvement and makes changing blades so much quicker. 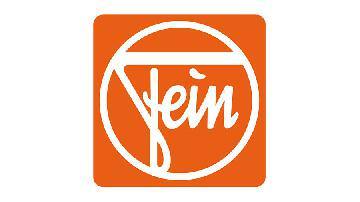 Fein are the original multi tool and although a little more expensive than the alternatives these are built to last. Really solid bit of kit! Works a treat and not met anything it’s won’t have a good go at. Only thing is it sits in the site safe most of its life as I’m an electrician so it’s easier to use my Metabo cordless one for quickly getting plaster board box’s out or cutting a floor board. Brilliant bit of kit. Was abit hesitant at buying it when it first came out. But I wouldn't be with out it now. All the extra add on are well worth it too. This is the best tool for a tradesman such as myself. It's like a get out of jail card. If money is no object, this is easily the best multitool around. Build quality is great. Only thing that might turn people off of them is the premium price. Great but if kit, I have the 10.8v version which comes with 2 batteries, makes life a lot easier when not able to plug in to mains power. Would be lost without it! By far the best tool I have in my arsenal. It's got me out of some sticky situations. A must for every tradesman. Excellent piece of equipment and my go to tool for so many jobs. Not sure how I managed without it. Over 8 years old and still like new. My only quibble would be the price of the blades. Great tool, mine is 10 years old now and the only time it let me down was when working in an extremely dusty environment when the motor(and everything else) was choked by the dust. In to the service centre for a thorough cleaning inside and out and it was good as new. Excellent tool. The first one was stolen from my van along with £8000 worth of tools and the insurance never paid me out. I had to get another even though I really couldn't afford at that time. Excellent multi tool, loads of storage in the box for blades and the long power cord is a really good idea. The quick change blade design is good it makes it quick and easy to change. Very well made tool that has helped me no end. Very useful range of blades which can cut into very differcult spaces. Blade changing is very easy and the blades seem to last very well. Great piece of kit. I have the cordless version which is more suitable for the work I use it for but the battery life is fantastic, lasting for several hours of cutting. The quick change feature for blades is also a useful time saver but mind your fingers when locking the quick release lever as it can give you a painful blow if you're not careful. Very useful piece of kit, used mine for the last 5 years and used it on lots of little jobs on plasterboard, grout, wood and plastic and it has never had a problem. 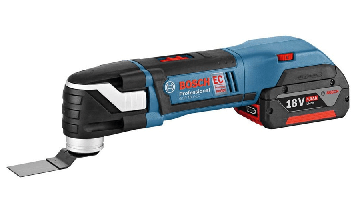 Wouldn't recommend anything else as I've used the Bosch multi cutter before and that was nowhere near as good as this. Don't actually own one but have used my mate's on many occasions. I like the simple lever change of blades, no messing around with an Allen key. A good range of blades for any occasion. Angle of approach to work is easily changed by altering position of blade. He has had his for about 5 yrs without a problem. Good tool, useful for all sorts of jobs. The Allen key fitting to change blades is quite laborious after a while I would get one with a better blade change system if I was replacing it. 8 year in use of the 110volt version . More expensive than other brands , having said that , this product has proved itself. Highly recommended . I recently upgraded to the Fein super cut, which pretty much does the same as the old Fein multimaster, just with quicker blade change. It's very easy to use, lightweight and just a great and very handy tool. I have had one of these for probably 8 years and was quite disappointed when the motor had burnt out because it had only ever had light use. I was working on a site where we supplied 2 brand new Fein Multitools to the electrical sub contractor and they managed to burn them both out within a week or two. Fein isn't the only Brand of multitool available anymore so I would think twice before spending the extra. I bought a multitool from Lidl a few months ago for £20 and it's doing an equally good job. Had mine for 3 years and it stopped working about a mouth ago but got a lot of use out of it, I was expecting it to last a bit longer for a high end tool, i'v replaced with a dewalt. Don't know how I've done without this for so long. Brilliant bit of kit. Brought this as a replacement for another brand that went up in smoke, I got the 230v version and can say I'm impressed, I have seen other trades use these In the past and got a very good deal, it was cheaper than buying a branded 18v one. Would recommend this to any one looking for a multi tool. Excellent machine. With a decent blade it is fantastic. I had a cordless makita but the batteries didn't last long. I've had mine for two years now, and it's one of the most useful tools I have. It's something I didn't know I needed until I bought it! I bought the wired version but would have been better off with a battery version as I only use it for short periods.